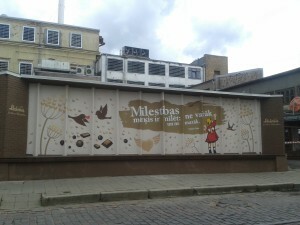 Mural outside of Laima Chocolate Factory in Rīga. 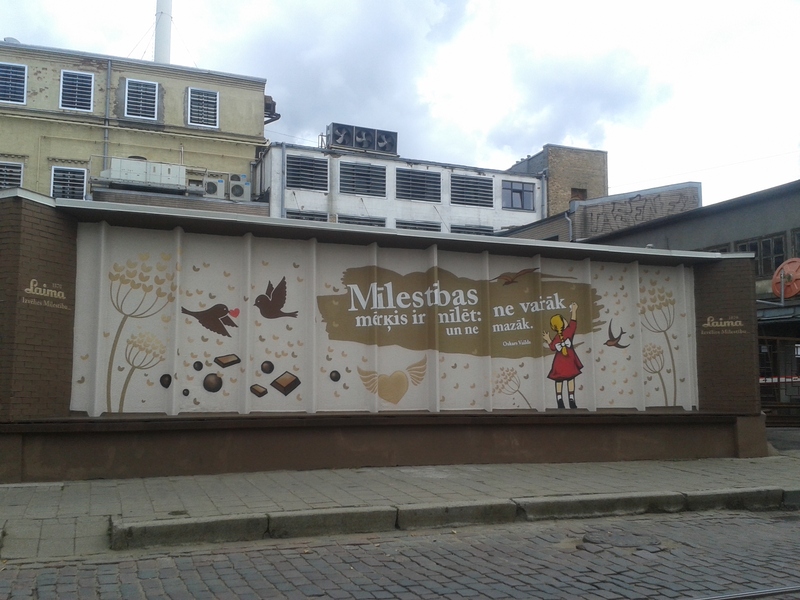 Quote reads “The aim of love is to love, no more, and no less” (Oscar Wilde). Photo taken by me, August 2015.